These beautiful Pure Attraction by Ntinga necklaces are a fabulous favourite. 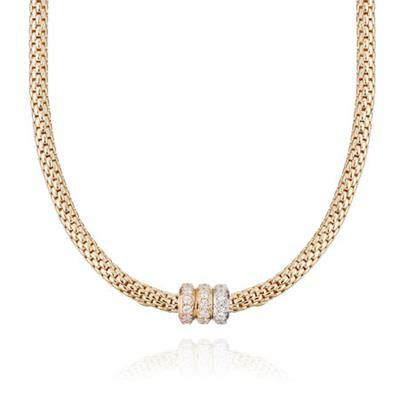 Sterling Silver Mesh is then coated in Gold to create this dazzling necklace, with the addition of a three coloured Cubic Zirconia magnetic clasp. Available in Gold, Rose Gold, Silver and Black, the necklaces measure 43cm in length.